When you picture that singing ice cream truck driving down your childhood street, you probably imagine the classic flavors adorning that menu. Chocolate, vanilla, strawberry… maybe a banana sundae if you were feeling daring. But never would you imagine some foods to be transformed into this beloved and nostalgic dessert. See the most out-there concoctions below. 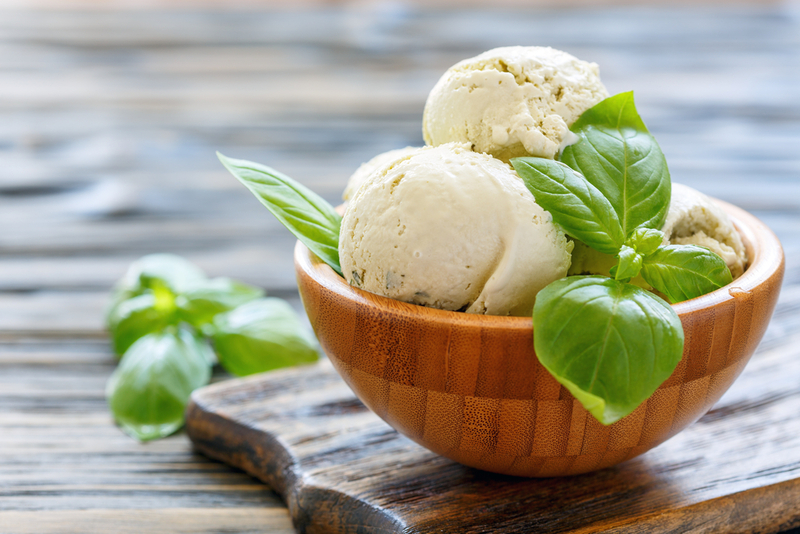 This ice cream flavor combines delicate herbs with a delicate cheese, and turns it into a frozen treat. Washington, D.C.’s Ice Cream Jubilee and urban farm Top Acres collaborated for this hipster and very grown up ice cream flavor. This flavor is savory but creamy thanks to the goat cheese, and has spicy notes due to fresh basil. Do you prefer these ingredients on a sandwich or salad? Or do they make a delectable marriage? Only the most adventurous taste buds will find out.